These days, a background check is not good enough. Trust, but verify with TaskAssure. Since our founding in 2012, TaskAssure has sought to find ever better ways to help people keep informed about services they need when they won't be there to watch. While we were originally inspired by the needs of families with eldercare and other long term care challenges (see our story ), we are finding applications in many situations including property management, child care, pet care, and a variety of services such as housekeeping, transportation, lawn care, and construction. Mr. ODonnell has been leading the effort to leverage technology in the healthcare and human services industry for twelve years – frankly before they were ready to admit it was needed. Previously, he helped modernize systems in the computer integrated manufacturing and air transportation industries. CEO Invencor; Managing Director International Venture Fund; 2013 “100 Most Influential Women in Silicon Valley”. Founder and former CEO DTx Inc., systems integration firm for medical tech; company acquired in 2013. 25 years in CTO, Chief Architect and VP roles; pioneer in cloud computing; winner 2010 AWS Global Challenge. Co-founder & CMO, Pixel Road Designs; Co-founder, Alpha Brand Media; Social Media strategist. Partner at Kilpatrick Townsend; counsels founders on the formation and capitalization of new companies, M&A and other strategic transactions. Once you try TaskAssure, we are confident that you will find it valuable in your situation. We are not another one of those paid-by-advertising or social network marketing ventures. We charge a modest fee that people have told us is very affordable for the value we offer. Give us a try today and see for yourself! If you have any need that you currently rely on another person to perform for you when you can't be there to watch, consider how much better you will feel knowing TaskAssure is there to watch over them. If you are currently using your talents to provide services to others, consider the advantage offering TaskAssure as part of your service. More people will choose you rather than your competitor if they know they can receive verified updates about tasks they assign you. If you are a services business, consider how much better you can manage your team if you are receiving real time notification of task activities from TaskAssure. With TaskAssure you would also have the option to allow your clients to receive updates. If you are a source of funding for services (such as an insurance organization) that are typically provided without supervision, think about the deterrent on fraud that TaskAssure plays, and the benefit of analyzing the data collected during task performance. TaskAssure is exhibiting at the next HomeAway Summit, September 27 in Fort Lauderdale, Florida. If you own rental properties or manage rental properties, consider learning about HomeAway and TaskAssure. March 25, 2016 - check out our latest product release notes! Coming soon! TaskAssure Pro Assurance for people managing services for multiple clients, agencies, properties, and other situations! Come see us! TaskAssure exhibiting at Florida State Guardianship Association conference 7/11&7/12 St. Petersburg, Florida. TaskAssure Android app is now available at the Google Play Store. Shawn ODonnell, TaskAssure founder & CEO, is presenting at Home Care Association of Florida 25th Anniversary conference, 7/24. Come see us! TaskAssure exhibiting at Fearless Caregiver Conferences 4/10 West Palm Beach and 5/22 Stuart. 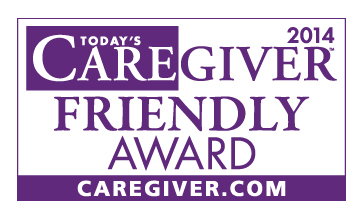 TaskAssure is mentioned in Caring.com for National Family Caregivers Month as a great resource for Caregivers.